Looking for a bankruptcy attorney in Lake Worth, Royal Palm Beach or Wellington, FL? 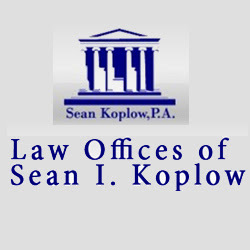 Sean I. Koplow, P.A. is a bankruptcy law firm with over 15 years of experience in bankruptcy law practicing. Contact us today at 561-642-3000 to learn more about your options under the current bankruptcy laws.